To discover the Italian culture. To demonstrate the connections between the Italian language and English. To compare ancient Roman discoveries and inventions with today's conveniences. To recognize simple Italian words. Have students sit facing the map of Italy. Ask them what the shape of this country reminds them of at first glance. The answer should be a boot or a leg kicking a ball. Tell them that the name of the country is Italy, that the "ball" is Sicily, and then show them the location of several of the major cities — Rome, Venice, Florence, etc. Write on the board both the English names as well as the Italian names. Give students large art paper. Ask them to draw the shape of Italy by looking at the map. Explain that they only need to give an impression of what it looks like; it does not need to be exact. Once they have created their maps, have them label the cities in both English and Italian. Every country has customs that make it unique. In Italy, there are customs that have been handed down for generations. Begin teaching the students about these customs by beginning with common greetings. When people know each other well, they are less formal in their greeting. 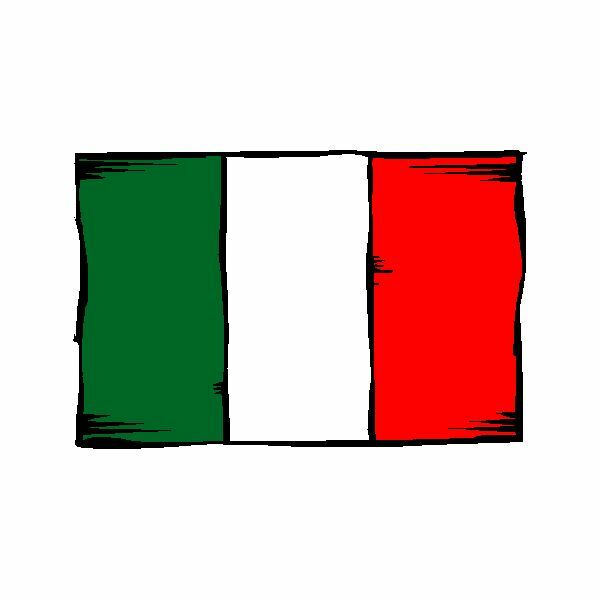 Explain to the students that in Italy if you know someone as a friend or family member, you might say, "Ciao!" which is used for both hello and goodbye. Italians have a great regard for family. It is customary for families to eat together, often outside, at large tables. At these gatherings, it is not unusual for the families and friends to share music either by listen to someone singing or playing an instrument or listening to a recording. Italian opera is famous around the world. Explain how opera tells stories using music and song to create an emotional reaction from the audience. If possible, have a recording of an Italian opera for the students to listen to in class. First, have them listen. Second, ask them to share how the song made them feel — happy, sad, mad, etc. Finally, tell them a little about the story behind the song. Does it match up with how the song made them feel? Athletically, the most renowned sport in Italy is soccer. Ask students what they know about soccer. Ask if they can guess the origins of soccer. (Soccer, or precursors to it, can be found in many ancient civilizations from China and Japan to Italy and South America.) In ancient Roman times, soldiers played soccer to sharpen their skills for battle. Many of our modern conveniences, as well as the English language, find roots in Italy, more specifically, Ancient Rome. For this lesson, ask students to list any words or things they think might have come from Ancient Roman times. Beware, many of them might suggest spaghetti; however, the origins of spaghetti are in China. Archeologists discovered perfectly preserved noodles in an excavated bowl near the Yellow River in China that dated back 4,000 years, which is 2,000 years older than Italian noodles. If the students have a difficult time with this, read the Jon Bratton's poem, "What the Romans Did for Us." Or, read the book, "What the Romans Did for the World," by Alison Hawes. Download this list of words in English with Italian/Latin roots, so you can teach students how many words in English come from other cultures. Have students pick a word to illustrate. Laminate the pages. Bind all the pages together for a classroom book on English Words from Italy. Introducing Italy through these lessons allows students to learn about another culture, witness the connections to that culture, and begin to learn the language as well. Some content from author's experience. The Times: Chinese were pasta masters 2,000 years before Italians, Mark Henderson, 2005, reproduced in Yahoo! Groups. History for Kids: What the Romans Did for Us (Poem), Jon Bratton, 2009. Your Dictionary: English Words of Italian Origin.